The funniest sh*t I've read in months! 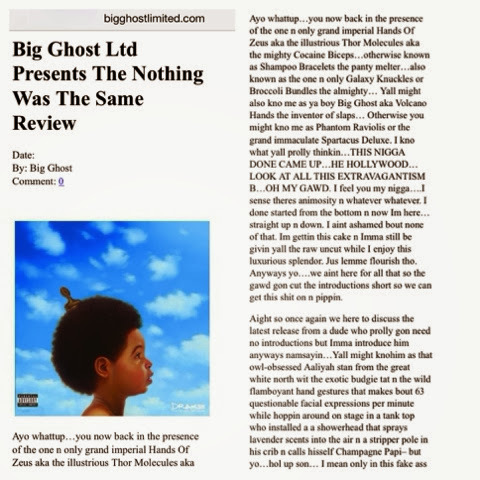 Big Ghost from bigghostnahmean.blogspot (formerly) reviews Drake's new album, Nothing Was The Same. One word...HILARIOUS. Peep the entire review HERE.